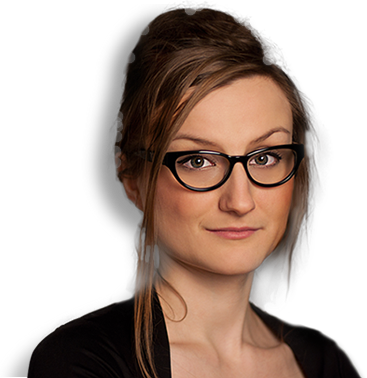 How to succeed in the industry: An interview with Marta Stelmaszak « Translator T.O. An immensely successful trainer in the area of professional development, Marta Stelmaszak‘s advice is sought by language professionals throughout the globe who are searching for ways to expand and improve their businesses. Marta utilizes her vast knowledge of marketing and entrepreneurship – as well as linguistics and translation – to offer freelance translators a unique perspective on how to succeed in the industry. For the second year in a row, Marta has taken home more ProZ.com Community Choice Awards than any other recipient. This year alone she received five awards in the fields of best blog, website, trainer, conference speaker, and mentor. Her “Business School for Translators” professional development course also received the Community Choice Award in the category of best translation-related training course. I recently had the pleasure of speaking with Marta about her success as a trainer, the impact of social media on her own business, some marketing techniques that she employs as a language professional, and the future of the industry. 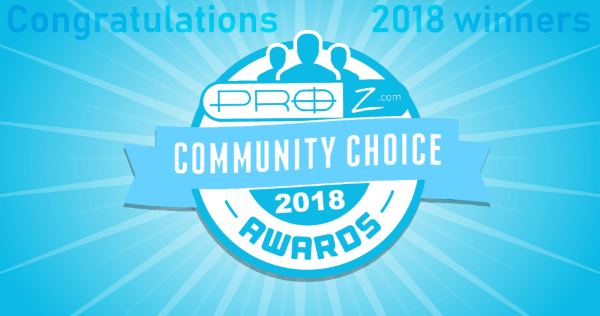 MK: First of all, congratulations on recently winning six ProZ.com Community Choice Awards! One of the awards that you received this year as well as in 2013 is in the category of “Best Trainer.” Why do you think people are drawn to the advice you provide? How is your message different from that of other industry professionals? MS: Thank you so much! It’s a great honour to have been entrusted with so many votes. I must admit that I never expected to win as many as six awards. The “best trainer” category award means a lot to me because it’s a great piece of feedback on the work I’ve been doing together with eCPD Webinars for almost two years now. Throughout my course, the Business School for Translators, I aim to pass on the solid business knowledge I acquired during a number of business courses and a degree in management and then applied it to my own freelance business. Of course, I’m sharing my experience and how I found my clients, but the most important part of the course involves strategic thinking to develop a long-term plan. To do that, the experience of one person isn’t enough. The big strategies and tactics that I share with my students help us navigate through the freelancing landscape and build successful businesses. Plus, the course has a wonderful community around it. We’re sharing, commenting and helping each other almost every day, and we often meet up at industry conferences. The Business School course led to the creation of a few collaboration projects, partnerships and service exchanges. I also believe one of the things that makes my course so popular is the fact that I remained a freelance translator and interpreter and I don’t outsource work. This, perhaps, gives students the confidence that it’s possible to be successful and be a ‘true’ freelancer at the same time. It is and it feels great. MK: How has social media effected your career? What social media platforms do you use professionally? MS: Overall, social media had a positive effect on my business. LinkedIn was undoubtedly the most useful platform when comes to making contacts and reaching out to potential clients. This social network is a gold mine of information and market research. For Continuing Professional Development, equally important in my eyes, Twitter is my main platform. I think it’s a great way to stay abreast of all industry news and follow events which you cannot attend in person. MK: Your blog offers practical tips and advice for language professionals at all stages of their careers. To what do you attribute the popularity of this resource? MS: I’d like to believe that the main reason why my blog is read by colleagues is the fact that it’s based on solid business knowledge, research and careful application of the concepts I talk about to my own business. As I studied business and management, I’m combining this field with languages. This is why I mainly specialise in translation and language consultancy aimed at small and medium enterprises growing their own activities in Poland or in the UK. But at the same time, I’m trying to bring this business knowledge to the world of translation and interpreting. I took this approach even further and in late 2014 I published The Business Guide for Translators, the first book aimed at the translation and interpreting industry sharing essentials of business strategy and solid knowledge in economics. MK: Your professional online presence is associated with the name “WantWords.” How important has branding been as part of your marketing strategy? Is it something you would recommend to everyone? MS: In my opinion, branding is the way others perceive our brand, or if you like, our business. To have a brand doesn’t mean that you need a logo, a great website or give out gadgets. These elements can help you build the image you want to project but they’re not absolutely necessary. And sometimes the lack of them is precisely the essence of the brand. My brand was built on careful research into my target market and was then executed following a branding strategy fitting into a wider marketing plan. The current image of WantWords is what works best for my potential clients and for my business at the same time. Anybody considering improving their branding or even re-branding should first think about the target market, i.e. the group of clients they’re trying to reach. Learning about potential clients will make the brand sharper and more effective. I’d also suggest preparing a good strategy of how the brand is going to benefit the business owner. I would say that every translator and interpreter needs a brand, be it a strong association with quality, indication of a specific kind of work, or uncommon attitude towards work. The way this brand should be communicated is of course a whole other story. MK: Could you define what it means to have a good online presence, and why is it important for freelance translators and interpreters? MS: The way I see it, good online presence doesn’t mean being everywhere all the time. I believe that online presence is effective when it allows to reach the right customers, inspire their trust and reflect the business owner behind the online persona. In this sense, online presence is an extension of a business. Freelance translators and interpreters who’re considering finding clients online should invest their time in energy into establishing the right online presence for themselves because it will definitely make their marketing efforts more effective. MK: How do you envision the future of the language industry? Is there one piece of advice that you would give to your colleagues to help them stay relevant in this profession? MS: In my opinion, translation is becoming more and more integrated with the context in which it appears, and the future will accelerate this trend. My one piece of advice would be to see our work in the wider business context and react to changing business needs. Marta’s last comment carries more weight than everything which precedes it. It points to the necessity of reading within your subject field. For example, if you are a translator of business and financial texts, then you must read the leading annual summaries and predictions for the year ahead in leading journals and newspapers (such as The Economist, The Financial Times, and the corresponding publications in the other languages with which you work). There is a profusion of them at the end of every calendar year. Important leads can be found in these publications. A strategic reading for the purpose of gaining new clients, or upping your game in a particular field could well have its origins in such reading. I had the pleasure to listen to Marta in Buenos Aires back in 2014, she is really a #1 professional and lecturer!